(New Orleans, May 15, 2017) The International Parking Institute (IPI) will recognize 12 outstanding marketing and communications programs in the parking sector at the 2017 IPI Conference & Expo in New Orleans, La. “This year’s winning programs range from those that achieve results through charitable donations, safety, aesthetics, community involvement, as well as those that use strategic thinking to boost revenue while shining a positive light on parking,” said IPI CEO Shawn Conrad, CAE. 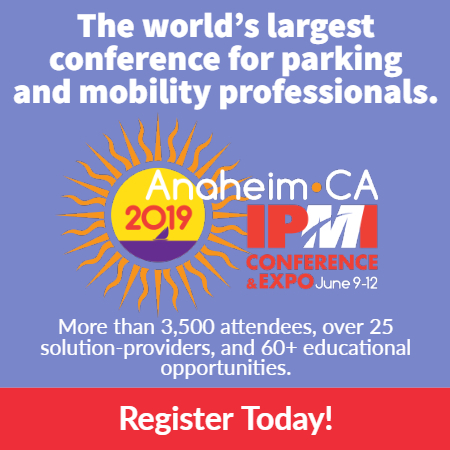 Details about each of the winning programs will be featured in the June issue of The Parking Professional, IPI’s monthly magazine. The Parking Matters® Marketing & Communications Awards will continue in 2018 with a streamlined, online submission process. A call for entries will open September 12, 2017 and all submissions will be due November 6, 2017. More information is available at parking.org/marcomm.